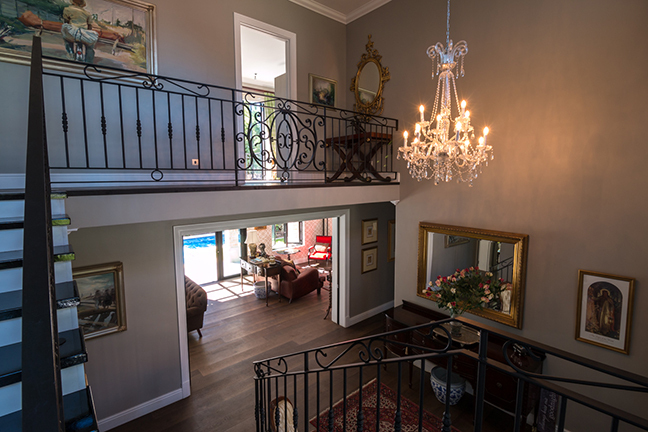 “We asked Wendy Holmes of Living Design to do some alterations on our house in Wynberg in 2015. Our original brief was to add on two upstairs bedrooms. Wendy came up with a design which did exactly what we asked for but she also said that the house had a lot of potential and suggested that more extensive changes would transform it. She proposed some fairly radical changes which, after a lot of careful consideration, we accepted. The result were spectacular. Our slightly tired and dated house became the home we’d always dreamed about. Besides the two extra bedrooms we had asked for, we added an office,completely opened up the downstairs section and added a children’s TV and games lounge. We also extended the verandah and added a huge outside entertainment area with a braai and wood-fired pizza oven.